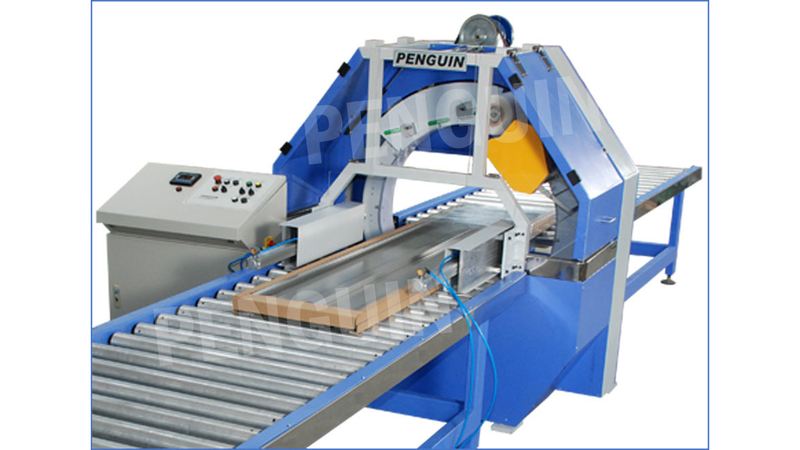 Penguin RING WRAPPER is suitable for Industries manufacturing, even 6 meter-long Shafts, Pipes & Extrusions in Aluminium or other metals or P.V.C., which cannot be easily wrapped with protective wrappers manually due to their heavy weight & very lengthy nature. Using low installed power of 2 kW, this machine can stretch wrap the above items of various sizes in width & diameter, weighing even up to 200 / 300 Kgs. The type & size of Conveyor will depend on the nature & size of the product being stretch wrapped. For economical consumption of the stretch film, the inbuilt pre-stretch unit stretches the LLDPE stretchable cling film mechanically before wrapping over the “products”. As the “products” are simultaneously moved over the feed / delivery conveyors, we get uniformly overlapped/ helically wound wrapping of the stretch film all over the surface of the “products”. This gives the “products” necessary protection from dust & moisture and ensures longer storage life at a much cheaper packing cost. 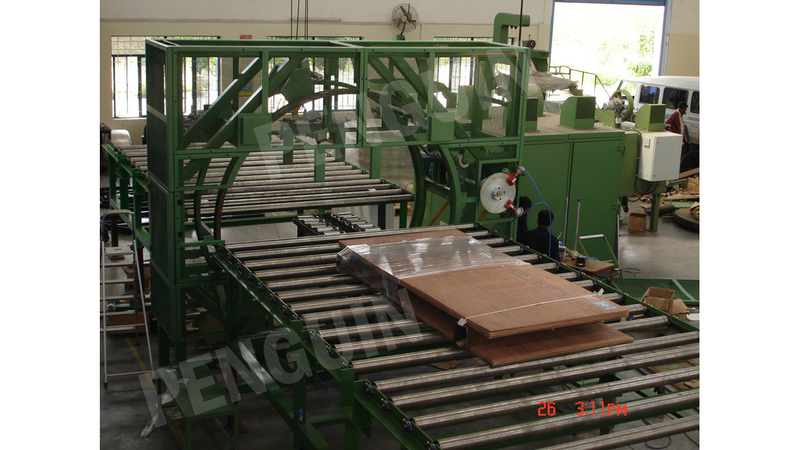 This machine can be easily integrated in to conveyor lines to save considerable labour & time. 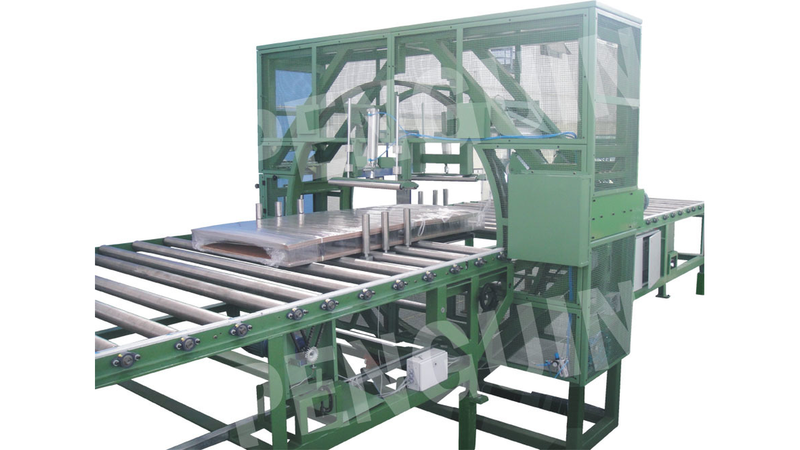 When larger quantities of above products are required to be packed, or when new expansion projects are implemented, industries like above can install this machine and save enormously in packing cost, in labour cost, in time taken for packing, etc., and this machine will pay back its cost very soon.